News came out that the U.S. Army is receiving its first shipment of new Armored Multi-Purpose Vehicles (AMPVs) this month. The AMPVs are designed to replace the M113 line. 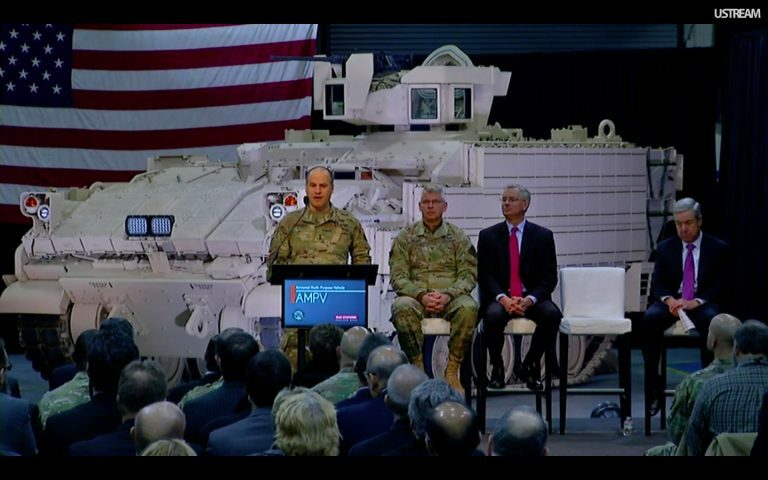 Army Maj. Gen. David Bassett (at lectern) and Col. Michael Milner (seated) with BAE Systems executives at the roll-out. The M113’s lacked size, weight, and power, and had less optimal survivability. Given their purpose in the field has been to serve multiple roles (eg, armored transport for troops, supplies and ordnance, as well as armored ambulance / mobile clinic), the M113’s deficiencies were long-seen as too big a detriment to current and future tactical needs. One of the great benefits for the Army and military parts suppliers with the next generation AMPVs is that while the military is receiving a more modern and sophisticated armored vehicle over the M113, they also are receiving one that is based on the Bradley design. 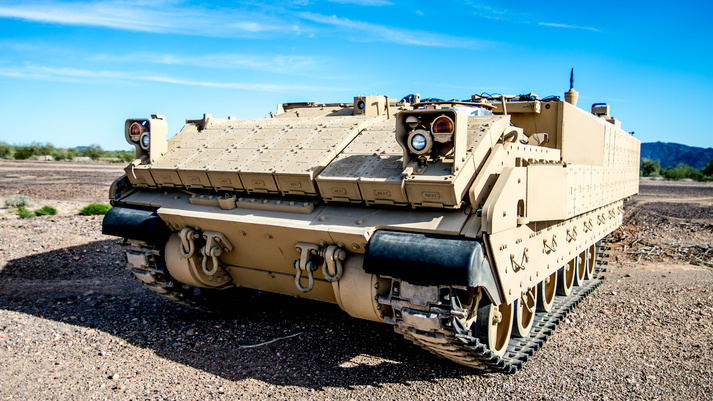 Because according to Maj. Gen. David G. Bassett, program executive officer for Ground Combat Systems, about 60 to 70 percent of the parts are common with existing ground combat vehicles. This means that existing supplies of parts can aid newer vehicles as they get deployed. 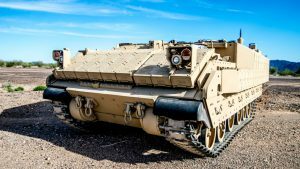 This is a tremendous benefit to the Army and military parts suppliers.At ISO Group, we track the history of part acquisition for the M113, and will do so for the AMPVs as they start to get deployed. By using our advanced Defense Logistics Management System, we can track and manage part requests for support units and the front-line combat brigades to guard against part shortages and maintain the best price options for our military customer. The AMPV is going to be closely monitored, because success of the AMPV program may open the door for other replacement programs. Right now, budget constraints may not allow for expensive replacements. To compensate for tighter budgets, the military has made modifications and upgrades to the capabilities of existing vehicles such as the M-109 and M1 Abrams tank. However, anything that is built to a design and frame / box, will have limited space for new technology (weapons and communications systems, for example). If the AMPV program proves successful, it could open the door to additional replacements for aging military vehicles. The other piece to the AMPVs success has been low-rate production. While it is a slower way to modernize the military, keeping production low has benefits – such as lower budget allocations.